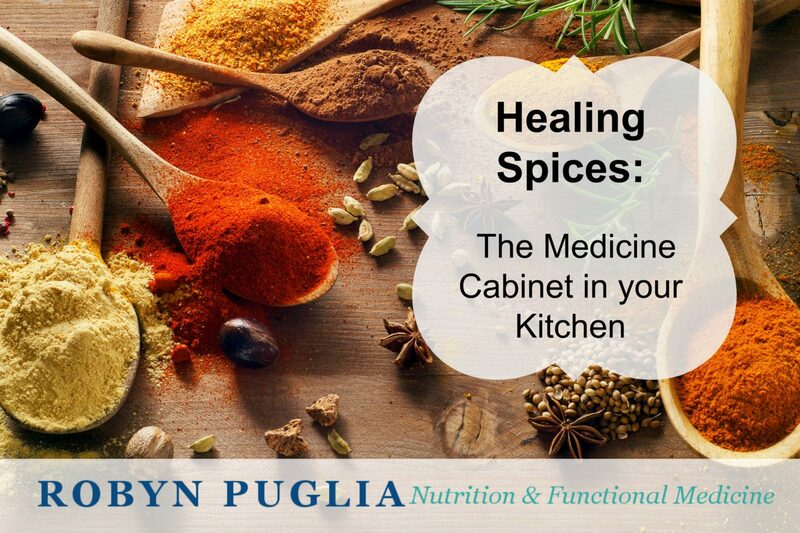 Fun Find Friday - Healing Spices, the medicine cabinet in your kitchen. Hola everybody. It’s the end of yet another week. My goodness this year is just RACING past isn’t it?? But, with another week gone, that means it’s time for Fun Find Friday again, where I share my favourite finds, purchases, tips and tricks with you. Today’s FFF post really follows on from this post about the podcast I listened to about turmeric and spices. You can also see my follow-up recipe for Masala Golden Milk as I have learned to use more than just good old turmeric in recipes and added a group of other spices to create a flavour and anti-inflammatory bomb!! Well in true nutrition-nerd mode, I have seriously jumped down the rabbit hole of the spice world, and I couldn’t be more pleased to tell you that, for four reasons. It’s SUPER interesting. Herbs and spices were the original medicine of course, and a lot of drugs are based on a plant compound, but there is actually a lot of research into the ‘medicinal’ properties of herbs and spices. I have always found the phytonutrient science very compelling and interesting and this is essentially exactly the same, so no surprise that I find it fascinating. It’s having a really big positive impact on my cooking, flavours and kitchen-creativity. Spices are cheap and very easily available. Usually when I dive down a rabbit hole I end up spending a ton on new and exciting supplements, or text books, or a conference in another country. You get the picture. I feel like it was such an easy way to really dial UP the nutritional density of my daily diet. I didn’t need to buy a bag of ground exotic berries from the amazon, I had all these fabulous jars of ‘superfood’, right there in my kitchen and in the supermarket. So, my fellow kitchen nerds, what do I have to share with you this week? 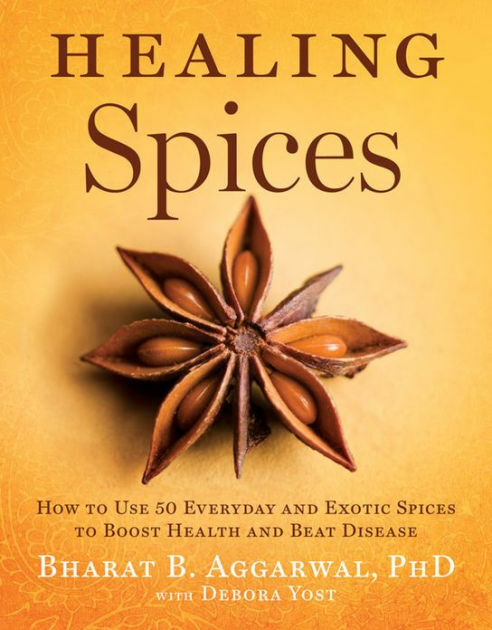 Healing Spices, by Aggerwal and Yost. Bharat Aggarwal is the author of many scientific papers on the properties of spices and it was he who was interview in the podcast that piqued my interest down this line in this instance. This book is superbly written and very interesting! It’s a brilliant combination of the science, and the practical art of incorporating the plants into your everyday cooking. This book talks about the plant itself, the history of use, what forms are available, which symptoms or illness may benefit from it’s use and what the mechanism is, which other herbs and spices it works well with, what types of recipes you may consider using it in plus actual recipes that you can use. It’s basically part text book, part cookbook. and if you know me, you would know that is my perfect combination!! The discussion around health properties of cocoa dates back to the late 1990’s and the Kuna indian population, living on San Blas island off the coast of Panama. In 1997, it was observed that high blood pressure is almost unheard of in San Blas (Interesting note, it was in the year 2000 that ‘Chocolate is healthy’ started hitting the news headlines). People in the 60s and older have the blood pressure of a 20 year old and they have ruled out ‘good genes’ as a contributing factor. Eventually they discovered the high consumption of Cocoa per day in this population was directly contributing and started studying the mechanisms. It then goes on to list 11 (!!) ways that cocoa is protective and beneficial regarding heart disease, plus many others regarding brain health, skin health, healthy ageing, and athletic performance. This is followed by some more history about the plant and it’s uses around the world, what to look for when buying cocoa to increase it’s nutrient content – spoiler alert, it’s the darkest, most concentrated forms that contain the highest quantity of the beneficial flavanols, but these have a strong bitter flavour. Cocoa pairs well with Allspice, Almond, Curry Leaf, Fennel Seed, Mint, Nutmeg, Onion, vanilla, Ginger, Lemongrass, clove, cinnamon Aniseed and garlic. And complements recipes that feature: Carrots, cheese, fish, ground beef, nuts, oranges, savourites and sweet potatoes, as well as sauces for dessert. The book includes a recipe for brownies that includes ginger, amchur, vanilla, cardamom and almonds. There are 50 entries in this book, including many common ingredients found in everyone’s kitchen as well as some great new additions that you may not have, such as kokum, galangal and amchur. 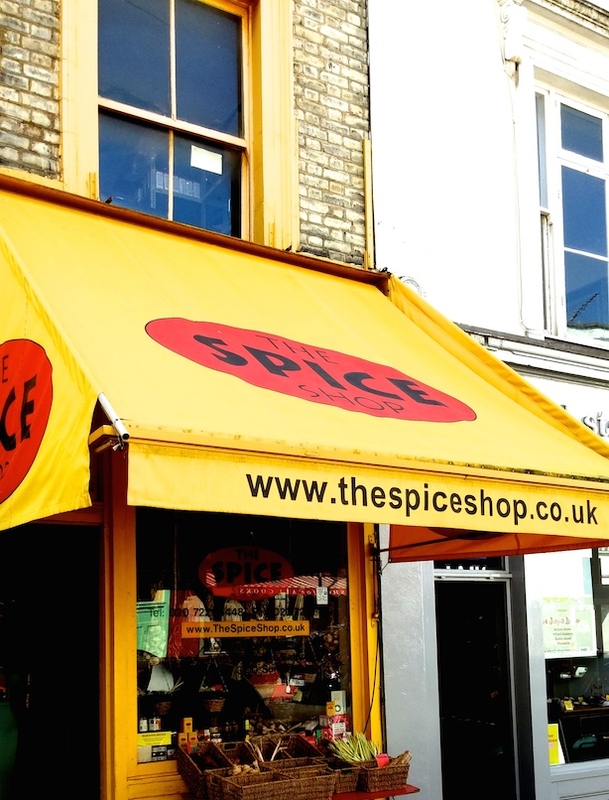 The Spice Shop is a bricks and mortar store found in Notting Hill and if you ever get a chance to visit I highly recommend it. However they also have a brilliant online shop that I have been delving into this last week. A veritable Alladin’s cave of flavours and idea. They have a HUGE range of individual herbs and spices, and I also love that they have premixed flavour and spice mixes and some recipes as well, so if you’re new to this game or unsure where to start, you can still jump in with less risk of a culinary flop. They also have 31 different types of salt, including one intriguingly called Viking Salt! As well as all the spices and salt, they have a big range of mushrooms, teas and other fun kitchen bits and pieces that delight me to no end. So tell me, do you have anything unusual in your spice repertoire that I must know about?? Where do you buy your spices from?